Ribs are the forming components of the framework of an airplane wing. The nose ribs studied have a U-shaped geometry that consisted of a flat plate, a curved flange with various radius of curvature, and straight flange, and were produced by a stamping process. During stamping, some defects such as thinning, thickening, wrinkling, and springback may occur. To design a forming tool that produces good quality, it was essential to understand the influence of process variables. This study evaluated the influence of stamping process variables on the formability of the nose rib for prevention of excessive thinning and control of the springback phenomenon. 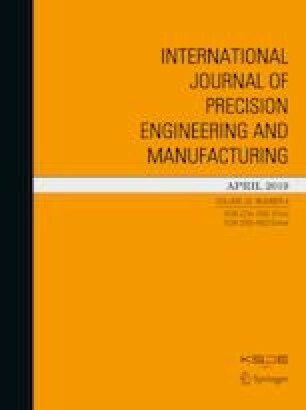 Three important process variables namely, blank holder gap, die corner radius, and clearance between the die and the punch were analyzed during an Al-2024-O nose rib stamping. The stamping simulation was a nonlinear problem in nonlinear behavior of solid materials and contacts, which was applied to an elastic–plastic material employed with contact behavior conditions. A DOE design matrix was generated by a full factorial design with every combination of the design variables. The main process variables affecting the multi-objective function, i.e., thickness reduction ratio and springback amount were suggested through main effect analysis, along with the stamping simulation. An experiment was performed to verify the validity of the simulation results. Results indicated that the thickness reduction rate and the springback amount predicted by the simulation were in good agreement with the experimental results. The locations where the maximum thickness reduction occurred, the maximum deformation amount caused by springback, the blank holder force, and the initial blank shape were suggested in this paper. The influence of the process variables will be considered as a reference for improving the quality of the nose rib. This work was supported by the Korea Technology and Information Promotion Agency for SMEs (TIPA) grant funded by the Korea government (Ministry of SMEs and Startups) (No. S2451546). Also, it was partially supported by Engineering Development Research Center (EDRC) funded by the Ministry of Trade, Industry and Energy (MOTIE) (No. N0000990).